I knew I was gonna enjoy the vintage challenge, but some of the cards submitted were OUTSTANDING!!! Our new challenge is sure to be fun too! It's a recipe- 1 plain paper, 2 patterned papers and 3 embellishments. The sponser is the super fab Pholkart Blessings and they are giving the winner 4 images from their store!! 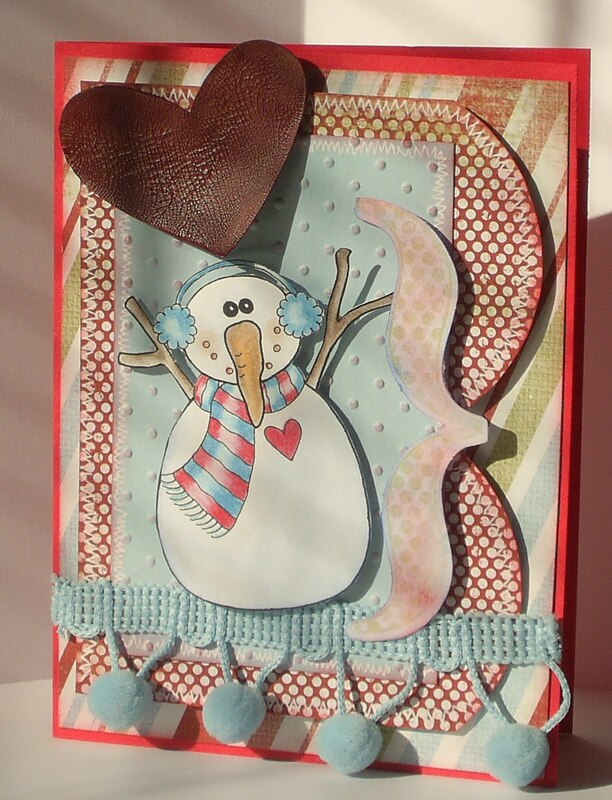 For my card I used a sweet snowman digi that they kindly let me borrow. 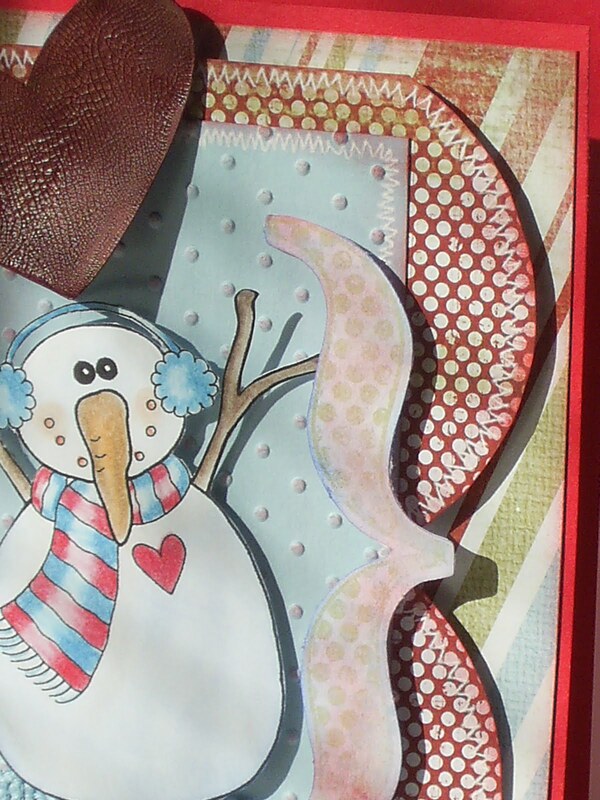 As my 3 embellishments I used a chipboard } shape, ribbon and a heart that I covered in crackle paint. Paper Sundaes. YOUR FAVOURITE TOPPINGS. I've used them all! such a pretty card ! love the pompons ! Your snowman is vute; your hear gorgeous and I lvoe love love that pom pom trim. Gorgeous card! Pretty. Your colouring job is awesome! Great card, that snowman is adorable! Thanks for joining us at Paper Sundaes this week!